The University of Warwick is delighted to welcome Professor Zrinka Stahuljak (UCLA) as an International Visiting Fellow in 2018-19. Prof. Stahuljak will be participating in a series of research events taking place between 19th and 26th February 2019. 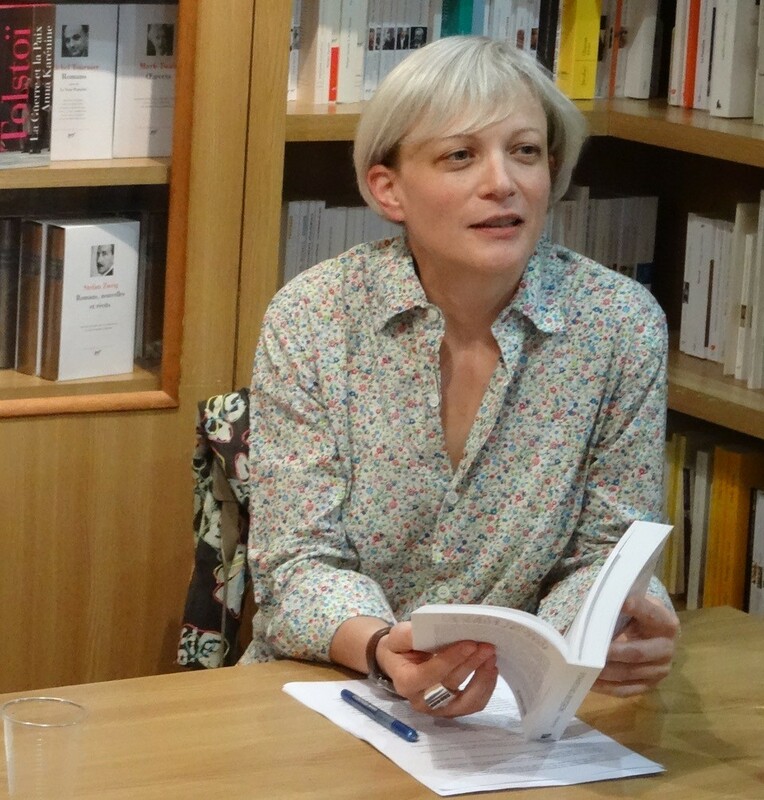 Focusing on the theme of translation in the Middle Ages and beyond, events during Prof. Stahuljak's visit include the a keynote lecture, roundtable, and a series of workshops. The programme of events can be downloaded here and further details are available below. If you would like to register your interest in the programme, please email Jane Sinnett-Smith j dot sinnett-smith at warwick dot ac dot uk. This visit is has been made possible thanks to the generous support of the Institute of Advanced Study and the School of Modern Languages and Cultures. The programme is being organised by Dr Emma Campbell (French, SMLC) and Jane Sinnett-Smith (French, SMLC). In this lecture, Prof Stahuljak links cultural regimes to political regimes using the notion of the “fixer”. She analyses the medieval library as a network of texts — on a spectrum of well-known to completely neglected or obscure — that defy our conventional notions of periodization (e.g. Antiquity, Judeo-Christianity, medieval crusading period) and genre (medieval inventories do not correspond to modern genre distinctions). She overlaps this analysis with the imperial history of Burgundy, which gave birth to the biggest empire of the sixteenth century, the Habsburg Empire. The goal is to demonstrate how the library functions as a (historical) archive of the (future) possibles and thus to propose “connected literature” as a new methodology. This event concludes Prof. Stahuljak's visit to Warwick by considering the broader implications of a historically engaged approach to translation studies. What is translation today? How have our ideas about what translation is (or should be) changed over time? How might the future of translation studies be connected to its past and present? What models of translation do we need to rethink or reinvent? Both events will be followed by a free reception at which wine, soft drinks, and nibbles will be served. All attendees are welcome. During her visit, Professor Stahuljak will lead a series of workshops with limited places available. If you would like to attend, please contact Jane Sinnett Smith j dot sinnett-smith at warwick dot ac dot uk to register your interest. All workshops will take place in the IAS Seminar Room, Milburn House. Tea, coffee, and biscuits will be provided. 1. To what extent is translation about the communication of meaning, and to what extent is communication about meaning? What does communication communicate? 2. How is the relationship between translation and communication conceptualised at different moments/ in different cultural contexts? 1. How, in historical terms, have translation, authorship, and identity intersected? 2. Is ‘world literature’ (David Damrosch) a useful model for translation, authorship, identity? 3. What models of translation, authorship, and identity do we need to rethink - or invent? 1. What might historical perspectives on translation contribute to contemporary discussions in translation studies? 2. What do scholars working on earlier periods have to gain from engaging with contemporary translation theory? 3. Are there dangers of anachronism in using contemporary models of translation to think about translation in earlier periods? How might those dangers be avoided?